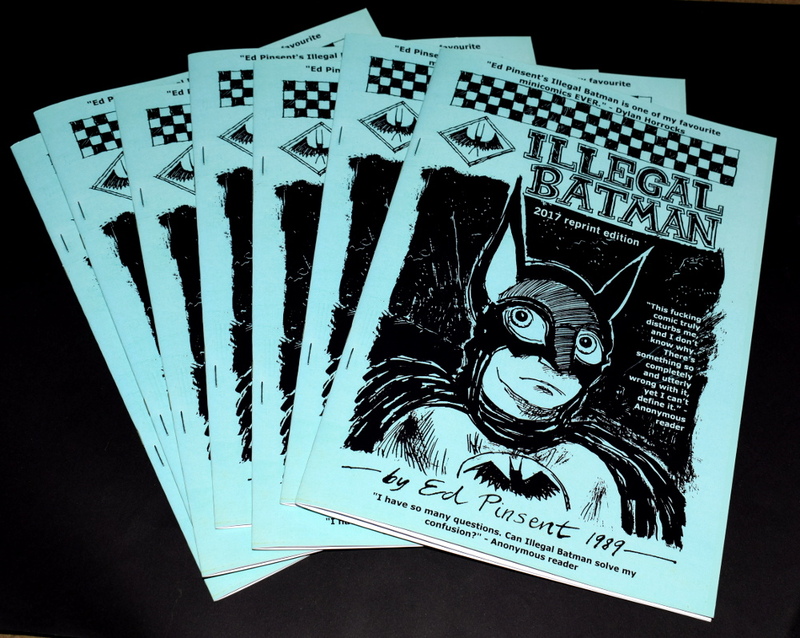 Comics by Ed Pinsent » Blog Archive » Illegal Batman Reprint! 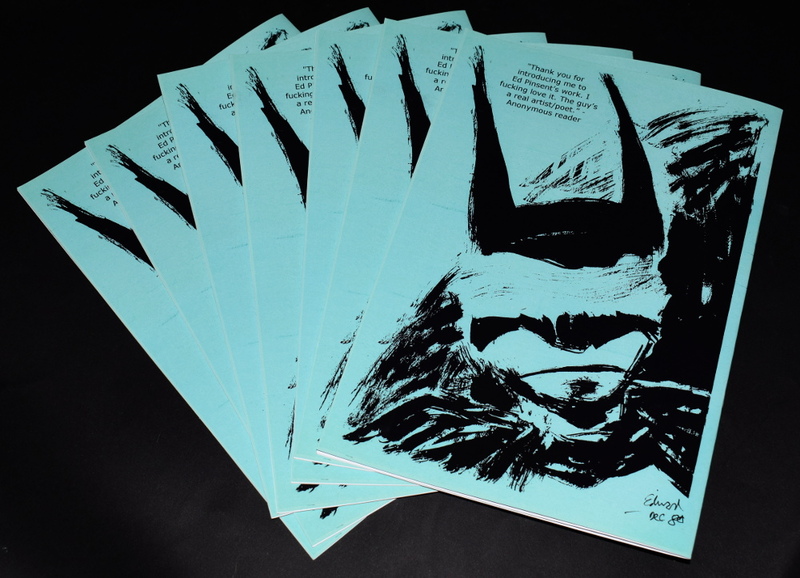 Here’s a limited edition reprint of my “greatest hit”, Illegal Batman, originally published in 1990. Only 50 copies printed; 5 went to Gosh Comics London, 5 to my collection, leaving 40 copies available for sale now. The book is A4, 20pp b/w interior. The pages were scanned from the original art. The cover was scanned from a copy of the original 1990 small press edition. Even the side staples from the original are visible! However, I’ve added typeset quotes and stuff to the front and back covers. Each copy is hand-numbered on the inside back cover. Only available from the artist. Email me for enquiries, or if you’re ready to buy, go to my Shop Page. All prices are in GBP. Please indicate if you want your copy signed. Prices are for Royal Mail International Standard. All customers: for GBP 10.00 I’ll send you the book with an original sketch on the inside cover. Batman copyright and trademarks are owned by Warner Brothers and DC Comics. “Illegal Batman” is a work of fan art. This entry was posted on Monday, February 27th, 2017 at 9:51 PM	and is filed under News. You can follow any responses to this entry through the RSS 2.0 feed. You can skip to the end and leave a response. Pinging is currently not allowed.